Cadillac 6000 Class is a top class in the Superrace Championship. 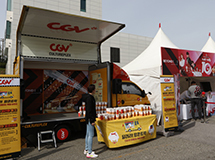 Since launched in 2008 as Asia’s only stock car race, top-class drivers from Korea and around the world have joined Cadillac 6000 Class, and it has gained more and more popularity every year. The stock car is a car manufactured only for racing purposes that has no convenience equipment inside but equipment only for driving and the driver’s safety. All teams’ stock cars in Cadillac 6000 Class are equipped with GM’s V8 6C200cc engine whose maximum horsepower is 436. The stock car’s cowl has a body designed based on Cadillac ATS-V with FRP and carbon applied as materials. Beginning from the 2017 season, all teams are required to use a 6-speed sequential transmission, instead of the traditional 5-speed manual transmission. Not only the engine and transmission but also suspension and the brake system should follow a one-make requirement. The UK’s Alcon system will be installed as the brake system while J5 suspension will be used. The minimum weight of the racing car is 1,190kg. As Cadillac 6000 Class has a handicap weight rule and assigns handicap weights of 70, 40 and 20kg depending on each game’s results to drivers who come in 1st, 2nd and 3rd places, respectively. The maximum handicap weight assigned to one driver is 150kg. If a driver assigned a handicap weight falls below the 4th place in a race, 20 to 70kg could be reduced. 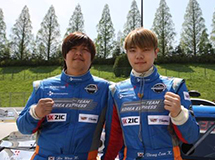 For tires, each team can freely choose among Hankook Tire, Kumho Tire, Yokohama Tire, Pirelli and so on. 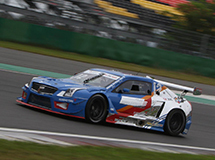 Cadillac 6000 Class stock cars are equipped with a cowl made based on Cadillac ATS-V. FRP and carbon, which are light and have a high level of rigidity, are applied to the stock car body. The roll cage is also manufactured with high-density carbon steel, which has extraordinary rigidity, and not only does it enhance the driver’s safety, but it is also designed in a way that minimizes car body twist occurring during the race. GM’s LS3-6.2L engine is mounted on stock cars in Cadillac 6000 Class. The maximum output is 436hp while the maximum torque is 428lbft (580Nm). The maximum engine revolutions per minute are 7,000rpm. The fuel tank contains up to 80 liters, and an auxiliary fuel tank whose capacity is limited up to 3 liters could be added. Superrace provides all the teams with engines of the same specifications. Stock cars in Cadillac 6000 Class use 6-speed sequential transmission and the racing clutch. Superrace develops and uses its own propeller and drive shafts. For stock cars in Cadillac 6000 Class, tires whose maximum tread is 290mm and maximum diameter is 710mm are used. The wheel size is 18 inches. Each team can freely choose its own tires. Up to 12 tires are assigned to each race. The brake system made by Alcon and J5 suspension are installed to stock cars. The fire suppression system manufactured by Racro has been applied to stock cars in Cadillac 6000 Class since the 2015 season. Its capacity is 4 liters. It could be turned on from inside and outside the racing car, and fire suppression agents are released from six designated locations such as the engine or the interior. Compared to the fire engine which uses ordinary water, this system shows much better performance in suppressing fire caused by oil. 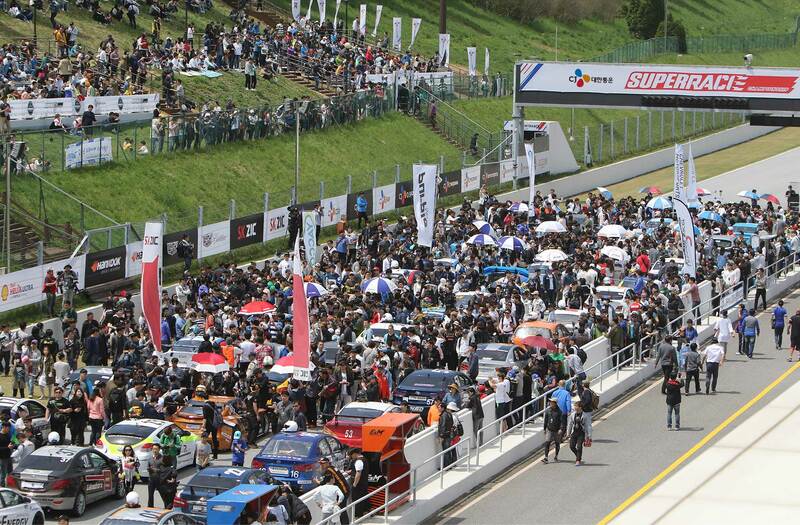 "ASA GT Class is gaining the spotlight as an occasion where various racing cars compete with one another. Pursuant to the Balance of Performance (BoP) based on engine displacement and the power-to-weight ratio, ASA GT Class is divided into 4 Classes: GT1, GT2, GT3 and GT4. The engine displacement of the racing car which could take part in GT1 Class should range from 1,400cc to 5,000cc regardless of the maker. The naturally aspirated or supercharged engine with 4 to 8 cylinders could be mounted. It is not allowed, however, to change the engine operation method or the volume inside cylinders. Racing cars in GT1 Class are required to install the air restrictor to balance performance. The supercharged engine should be equipped with air restrictors of different sizes depending on the displacement (2,000cc or less, more than 2000cc to 3,000cc, more than 3,000cc to 4,000cc and more than 4,000cc) and the minimum weight. The maximum revolutions per minute should be 8,500rpm or less. For transmission, it is allowed to replace off-the-shelf components with other components and to use a sequential gearbox. Six forward gears and one reverse gear are allowed. The gear ratio could be determined at one’s discretion. 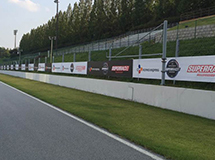 Hankook Tire is designated as the 2017 ASA GT Class’s official tire. The wheel size should be 18 inches while the maximum rim width and offset could be determined freely (the table on the right shows the GT1 requirement). The GT2 engine requirement states that the engine should be less than 3,800cc and naturally aspirated. For GT3 Class, the engine is required to be less than 1,400cc and supercharged or more than 1,400cc up to 1600cc and supercharged. The GT4 engine is allowed to be less than 1,600cc and naturally aspirated." BMW M Class is a newly established class for the 2018 SuperRace Championship. 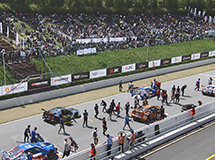 It is an Semi-Pro class with the participation of drivers having at least a B-class license in Korea by Korea Automobile Racing Association (KARA), featuring M4 (F82) Coupe among BMW’s high-performance sports car lineup M models. It is also the world’s first and only one-make race by BMW. M4 has an inline-six 3.0L TwinPower Turbo engine with a maximum output of 450 horsepower. It limited performance tuning in order to sustain the performance of M4 as much as possible. Official safety equipment is required such as roll cage, bucket seat, fire extinguisher and drawbar hook. Also, the data logging system will be loaded on all vehicles to improve the driving skills of participants and fairness of the competition. The M4 model participating in BMW M Class focused on lowering the weight using carbon fiber and aluminum. It applied aluminum to the hood, axles and side panels, and used CFRP (Carbon Fiber Reinforcement Plastic) on strut braces, roofs and rear spoilers to reduce the overall weight of the car. The empty vehicle weight for release (European standard) is 1,635kg, but it was remodeled to be much lighter for the race. The M4 model for BMW M Class has a 3.0L inline-six M TwinPower Turbo engine. The M TwinPower Turbo engine displays a maximum output of 450hp and maximum torque of 61.1kg.m (600Nm). It takes 4.1 seconds to reach 100km/h from a stationary state. BMW M4 has 7-gear M dual-clutch transmission (DCT) with DriveLogic. In addition to automatic gear shift, stick shift is also possible using the shift paddle on the steering wheel. A maximum of 6 tires can be used for the preliminaries and finals of each round. The UHP (Ultra High Performance) Radial Tires must be used, and the wheel size is 19 inches. The brakes are embedded with the original parts of the M4 model, applying brake pads for the track. To tune your car for the competition, you must follow the technical guidelines provided by the SOC. Roll cages, brake pads, seatbelts, bucket seats, safety window nets, and brake hoses are included. The data logging system will be loaded on all vehicles to improve the driving skills of participants and fairness of the competition. All parts must be original aside from the safety equipment or permitted tuning parts prescribed by the SOC.